“The epigenetic clock seems to be mostly independent from the mitotic clock as measured by the rLTL. The BASE-II is a convenience sample and participants have been shown to be positively selected with respect to education, health and cognition. Samples in which DNAm age and chronological age differed more than three standard deviations from the mean were excluded (N=19). While the original publication employed eight CpG sites for DNAm age estimation, we found that one of these sites did not significantly improve chronological age prediction in BASE-II. Thus, we reduced the number of sites considered to seven in the present study and adapted the algorithm to calculate DNAm age. Horvath described a subset of 353 methylation sites predicting an individual’s chronological age with high accuracy.. Even though the available methods using more CpG sites to estimate DNAm age predict chronological age with higher accuracy.. 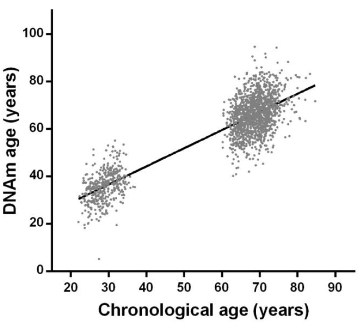 It is not clear how much of the deviation between chronological age and DNAm age reflects measurement error/low number of methylation sites and which proportion can be attributed to biological age. Findings that aren’t warranted by the data is an all-too-common problem with published research. This study illustrated how researcher hypothesis-seeking behavior – that disregarded what they knew or should have known – can combine with a statistics package to produce almost any finding. The barbell shape of the subjects’ age distribution wouldn’t make sense if the researchers knew they were going to later use the epigenetic clock method. Didn’t the researchers, their organizations, and their sponsors realize that this study’s problematic design and performance could misdirect readers away from the valid epigenetic clock evidence they referenced? What purposes did it serve for them to publish this study? 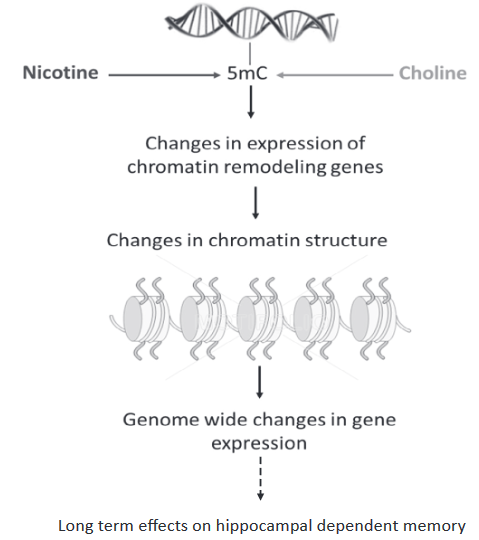 The reviewer DETRACTED from science in the studied area – transgenerational epigenetic inheritance – by ignoring its intent. As shown by A self-referencing study of transgenerational epigenetic inheritance which I also curated today, the purpose of such animal studies is to find the mechanisms in order to help humans. Putting that study’s graphic into human terms, F3 male great-grandchildren may be adversely affected by their F0 great-grandmothers being poisoned while pregnant with their F1 grandfathers, who – with their F2 fathers – may have also been adversely affected. is NOT TRUE for the studied area. The evidence disproving this assertion is that NO HUMAN STUDIES scientifically demonstrating causes for transgenerational epigenetic inheritance effects have been published! There’s a huge gap between “The importance..is well recognized” of anything regarding transgenerational epigenetic inheritance and ZERO human studies. Why has no one published scientifically adequate human evidence to demonstrate “Transgenerational Epigenetic Inheritance: Impact for Biology and Society” effects on ALL of the F1, F2, and F3 human generations as consequences “of maternal lifestyle, diet and other environmental exposures before and during gestation period?” What are we waiting for? The reviewer said “young men should be studied” but said nothing about resolving bottlenecks in funding human research of the studied area. Do researchers even have opportunities to make a NON-AGENDA-DRIVEN difference in this field? With ZERO published human studies, transgenerational epigenetic inheritance research can’t be recharacterized into a female vs. male agenda. The reviewer’s attempt to do so diminished the importance of research into human critical development periods. Will the reviewer’s suggested interventions – such as changing an adult’s lifestyle a long time after their development was altered – somehow make up for what went wrong early in their life, even before they were born? is there any doubt that similar mechanisms may be involved in humans, and that human phenotypes may likewise be intergenerationally and/or transgenerationally transmitted? 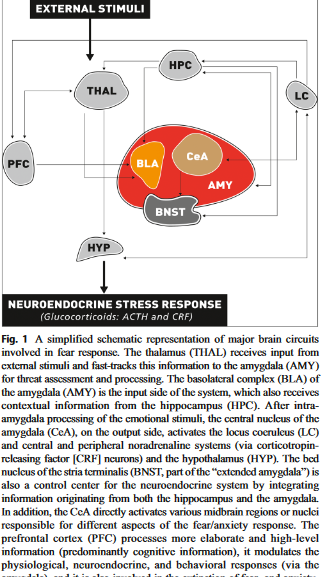 But do “ethical reasons” prohibit non-instigating human studies of stress, the intergenerationally and transgenerationally transmitted effects of which seem to be ubiquitous among humans? 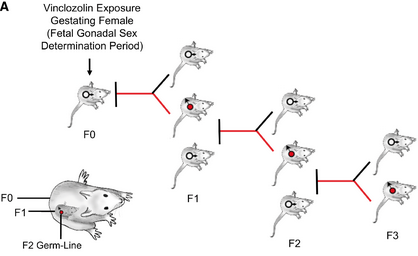 “The review focused on 0.0001% of the prenatal period for what matters with the human male – who he was at the time of a Saturday night drunken copulation – regarding intergenerational and transgenerational epigenetic inheritance of metabolic diseases.